Jan. 18, 2019 - The Heavy Equipment Production company (HEPCO) used to be one of the first and biggest manufacturers of construction in Iran and the Middle East. Based in Arak, the company was founded in 1974 with funding from private investors and with the aim of producing construction vehicles (front loaders, graders…) for Iran’s construction and development projects. In addition to producing construction equipment, HEPCO has played a vital role in manufacturing agriculture and mining machinery. HEPCO began its cooperation with international firms in construction projects as early as 1975. At the time of its founding, HEPCO was among the most advanced industrial manufacturing companies, and it had access to advanced software for engineering, production and services. The company was able to produce more than 3,000 pieces of heavy machinery per year. But after the 1979 revolution, when the mullahs rose to power, like many other vital industries and infrastructures of the country, HEPCO was seized by organizations and persons tied with regime officials and the notorious Revolutionary Guards. And like many other vital resources of Iran, HEPCO became subject to the plundering and mismanagement that characterizes the Iranian regime in its entirety. After decades of being run by corrupt officials, HEPCO, once a symbol of Iran’s industrial flourishment, is barely a shadow of its former self, a bankrupt industrial complex that has become the point of contention between workers and the government. The regime’s misuse of HEPCO intensified to the level that by the end of the war, the company, which was one of the most profitable enterprises of Iran, was turning up losses. In 2006, the company was sold to the private sector as part of the regime’s “privatization” plans, schemes that put regime officials and their affiliates in control of the country’s vital resources. As was predictable, transferring HEPCO to regime officials under the pretext of privatization resulted in the company’s complete shutdown. The mismanagement of HEPCO and the unusual transfer of its ownership became the subject of disputes between different regime officials and criminal gangs with ties to the regime. In their inner-fighting, regime officials revealed damning information about HEPCO and the people who were controlling it. In 2017, Tabnak, a news website with ties to Mohsen Rezaee, the former head of IRGC, revealed new facets of this government-run embezzlement case in an article titled, “The transfer of HEPCO at 100 million rials” (approx. $1,000). But the decline of HEPCO continued, and in the 2010s, the company started dealing with even bigger problems. Since 2016, we’ve witnessed regular protests by the workers of HEPCO. The struggles and uprisings of the workers of HEPCO is another facet of the corruption of the Iranian regime and the bravery of the Iranian people in confronting it. ISNA also confirmed the widespread protests by the workers of HEPCO. “One of the workers says, ‘The dining hall of this factory has been designed to feed 8,000 workers. But today, it is accommodating no more than 700,’” ISNA wrote in its report. As the protests continued to expand, the Iranian regime tried to quell the protests by cracking down on demonstrations and doling out punishments to the demonstrating workers.  According to Jahan-e Sanat newspaper, 15 workers were tried on charges of “disrupting public order” and “inciting workers to demonstrations and strife in cyberspace.” According to the verdict of a court in Arak, the workers were sentenced to 2 years and 6 months in prison and 74 lashes. But for the workers of HEPCO, who have experienced nothing but poverty and misery at the hands of the Iranian regime, there’s no turning back. Like many other communities and segments of the Iranian society, the workers of HEPCO are continuing their protests in spite of the rule of terror and security measures by the Iranian regime. There’s also a growing sense of solidarity between the workers of HEPCO and other workers who have been protesting for their most basic rights across Iran in the past year. As the people of Iran unite to reclaim their rights, the tide is gradually turning against the tyrants who have oppressed and looted the Iranian people in the past four decades.